It’s sort of sad to see the last day of “Make it for Me” come to an end. The event was so much fun and it seems that everyone else loved it too! I think we’ve definitely started a trend and will be celebrating every January! Someone in the group gave me the suggestion of doing a “Make it for the Man” event! What do you think? I’ll need some time to prepare, but I think that would be lots of fun don’t you? There are so many things going on behind the scenes of ELK Studio that I wished I could tell you about….but in time you’ll see and hopefully be as excited as I am. Anyway, let’s get on to the “meat” of this post. How will we celebrate our last day of “Make it for Me”? 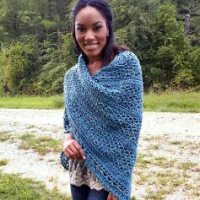 I think another one of my paid patterns for FREE is in order! Scroll down to the bottom and see what’s in store for you! I want to thank everyone for always being so kind and supportive to me. Your heart-felt generosity and words of encouragement really is key to my motivation and continued success. Without you……I realize ELK Studio wouldn’t be here and for that…….Thank YOU! So…..how are we to celebrate the last “Make it for Me” event? 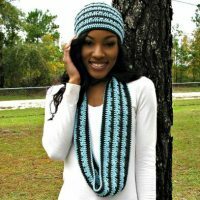 Yesterday I gave you a code for the Seasonal Bliss Scarf pattern…..today I thought I would give you the code to the Seasonal Bliss Beanie so you’ll have a matching set! I hope you will enjoy today’s Make it for Me” and will finally make something for yourself. We must take a few minutes out of our busy schedule to pamper ourselves. Today….look at yourself in the mirror and say, “I’m beautiful just the way I am.” Don’t just say the words either…you gotta mean it. I see the hearts of many in my group and know that you are all beautiful. 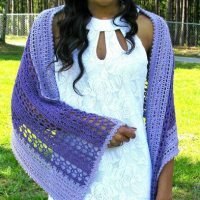 I’m truly blessed beyond measure to have some many “friends” where I can come and talk “crochet” and share my creativity. I have the best group EVER! 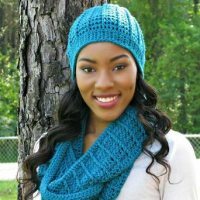 The code for the FREE pattern is only available until February 4th, 11:59 pm CST. Please note that all “accidental” purchases will NOT be refunded. Follow the directions as listed below! You can follow the link below to see all the projects previously featured. To my knowledge all the patterns (with the exception of the last 2 days where I gave away copies of my Seasonal Bliss patterns) will stay free but there is no guarantee because I am not the owner of the other patterns. 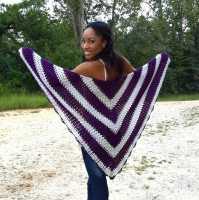 Access to the “Make it for Me” projects will always stay available on my blog for YOU!